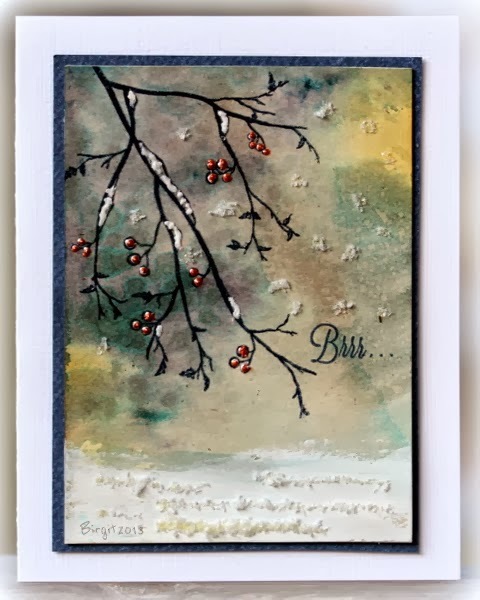 Just had to play along with the Inspiration Challenge over at Splitcoast today, as one of my favorite artist’s work is our inspiration. I started out with a square of water color paper that I sprayed liberally with water. Then I placed several dabs of Weathered Wood, Broken China, Spiced Marmalade and Chipped Sapphire Distress Paints on my craft mat and dragged the paper through it. Then it was tipped side to side etc. until I got the desired effect. Once the paper was dry, the image was stamped in Ranger Archival Jet Black Ink. I colored the berries with a red marker. 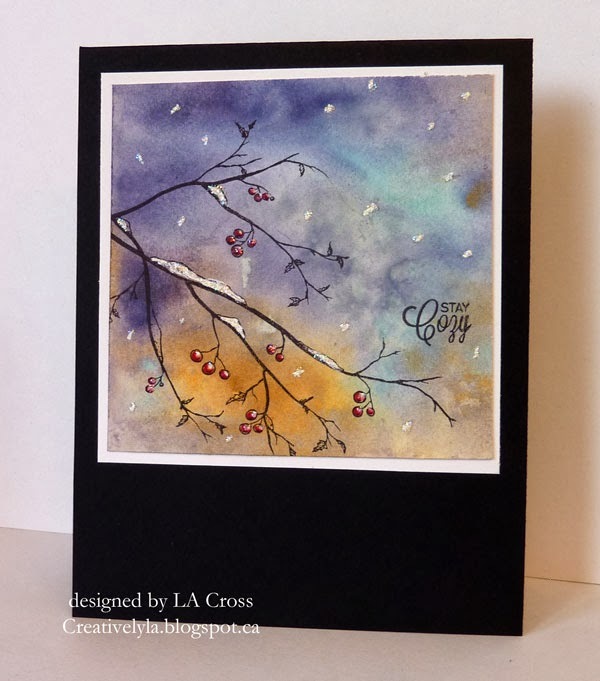 Then, I used my Signo gel pen to add the snow on the branches, berries and in the air. When that was dry I added Star Dust Stickles for a wee bit of sparkle.